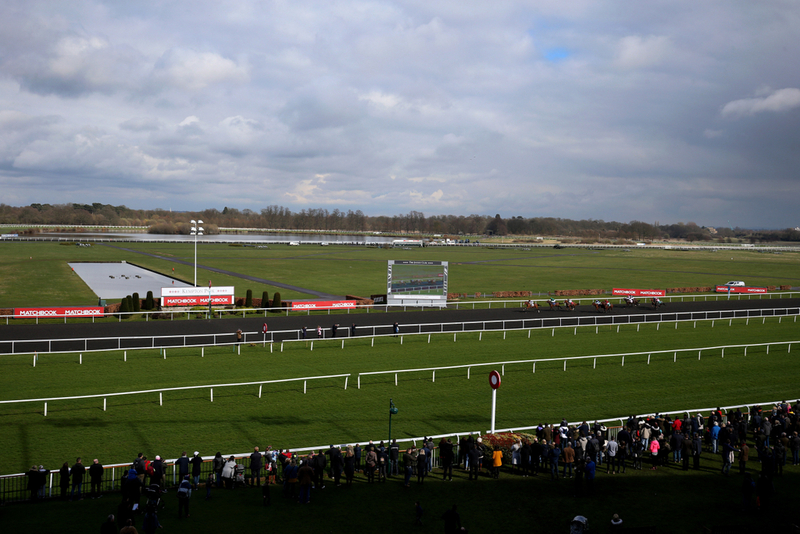 Kempton Racecourse looks set to host a cracking renewal of the 32Red Casino Listed Chase on Saturday. The likes of Charbel, Top Notch and Waiting Patiently could all clash over two-and-a-half-miles around the Sunbury venue, surely to boost their credentials of landing at what looks to be the the Ryanair Chase at the Cheltenham Festival in March. Looking at the contenders more closely, the three hoses just named all spearhead the market, so with nothing to split them on paper, it falls alphabetically to where we begin. Kim Bailey's Charbel has had a very consistent campaign so far with two wins from four - most notably in the Peterborough Chase at Huntingdon before Christmas. The 8yo also finished second in the Christy 1965 Chase to Politologue on his first start over two-and-a-half miles, and has come on from that since. A win here will surely boost his chances at Cheltenham, a venue he certainly has something to prove having fallen twice on his last two visits. Next up, is one of the smallest horses in training but with one of the biggest hearts - Nicky Henderson's Top Notch, who finally made his return in the JLT Long Walk at Ascot after a lengthy layoff, arrives here looking to recommence his respective career over fences. On-the-other-hand, Waiting Patiently was desperately unlucky in the King George when being badly hampered by the fall of Bristol De Mai, unshipping Brian Hughes in the process. His record remains however, that when standing up to his fences, he has never been beaten. Trainer Ruth Jefferson - who has already signalled the Ryanair Chase as the calling point at the Festival in March, puts her 8yo's record on the line once more, in the race he won so well for Ruth's father twelve months ago. The class does not stop there, as Black Corton and Mister Whitaker both have entries they can fill. Black Corton was a winner at Kempton thirteen months ago in the Kauto Star thirteen months ago, and has since achieved Grade Two glory at Ascot. Mister Whitaker's career has gone from strength-to-strength since finishing second here in the 32Red.com Chase on Boxing Day of 2017; coincidentally on the same day as Black Corton's course success. He landed the Close Brothers Novices Handicap Chase on the opening day of the Festival last year, before making a winning return at Carlisle. Has excuses from his BetVictor Gold Cup fourth - which in itself is still is not a bad effort. Mick Channon will expect another solid effort here. Also in there is Nigel Hawke's Speredek, who was last seen chasing Altior's tail here over Christmas, Charlie Longsdon's veteran Hammersly Lake, as well as Mercian Prince for Amy Murphy, who is a previous course and distance winner and runs in the colours of Arkle hopeful Kalashnikov. A race with a small history, our trends have been forked out from just the last five years. Four of the last five winners of this contest had won over at least 2m4f over fences before. The same number had won at least four times over fences over any distance before, whilst three of the last five had a course win over fences to their name. An interesting stat I'm sure that will certainly favour Waiting Patiently's supporters, is that four of the last five did not win last time out. Of course Waiting Patiently - who has never lost chasing when standing up to his obstacles, was brought down effectively by Bristol De Mai's untimely fall at the last fence in the first circuit in the King George here on Boxing Day. Waiting Patiently will be vying for favouritism with the likes of Charbel and Top Notch, knowing that the tag of being the market leader usually works its wonders. Four of the last five favourites have won, including Ruth Jefferson's 8yo, who was sent off at 13/8 when winning this twelve months ago. Four of the last five had returned 15/8 or shorter in the betting, with the average winning SP in the last 5 runnings being 11/4. Trainer Nicky Henderson won the race in 2017 & 2016, whilst Alan King enjoyed success back in 2015. The Champion Trainer has a 30% record with his chasers at the track, whilst Paul Nicholls operates a slightly less record with 28%. Alan King on-the-other-hand is just 3 from 39 (8%) with his chasers at the track.